Chris Ferrier likes to think big. 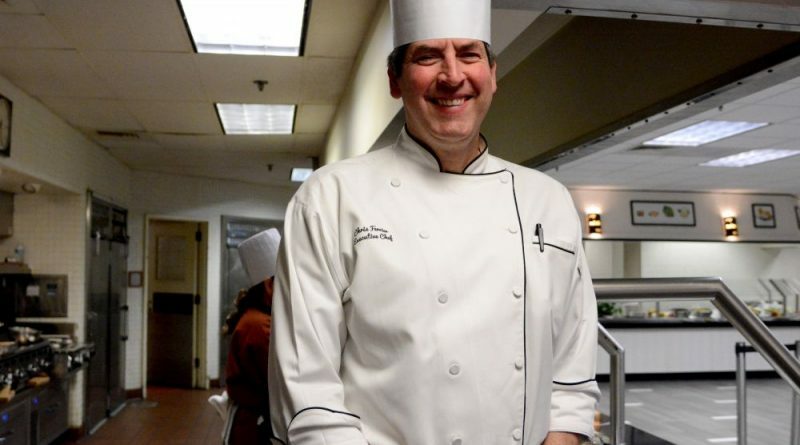 But lately the executive chef at the National Conference Center near Leesburg is also going small. 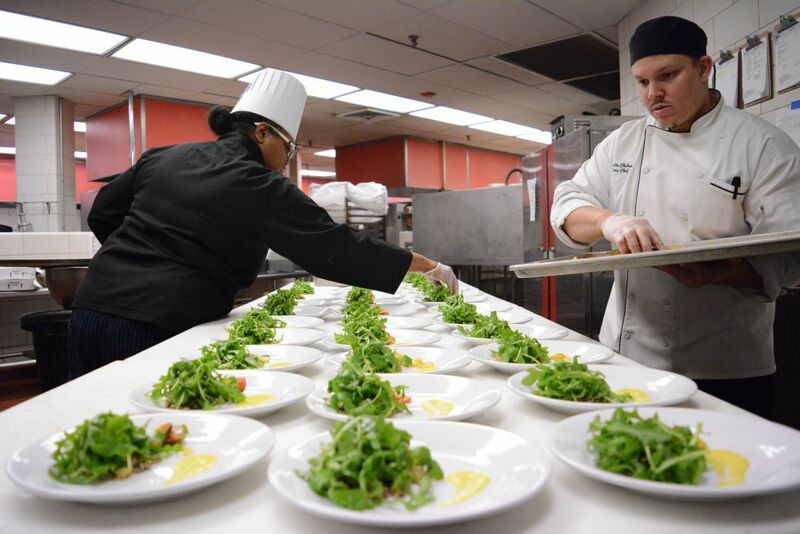 For years, The National’s dining program has focused on large banquets and feeding the thousands of attendees that flow in and out for conferences and training sessions. But when new owners took over the property in 2014, they brought Ferrier on board to upgrade the quality of banquet food—ditching old-school buffets and expanding made-to-order offerings. 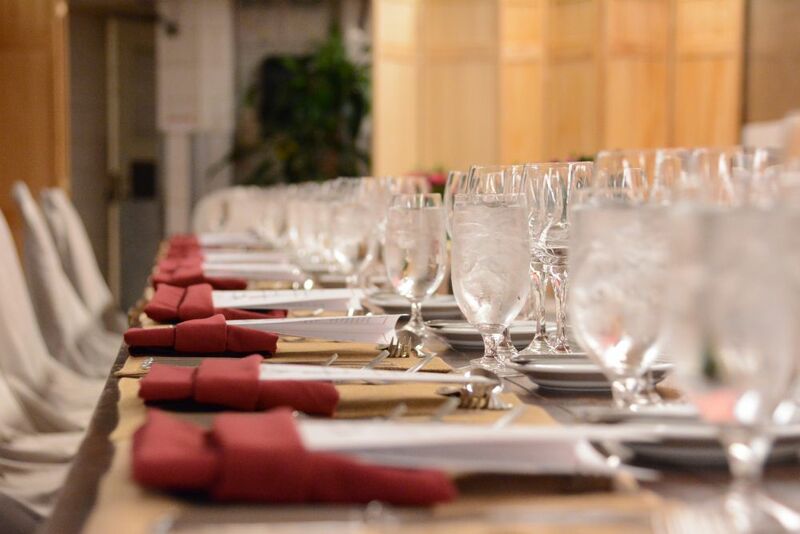 At the same time, Ferrier is bringing increased attention to The National’s smaller Chef’s Table dinners for private groups, featuring high-end menus and wine pairings developed by wine guru Mary Watson. He also oversees center’s Black Olive Bar, a little-known hideaway within the sprawling complex that’s open to the public, as new owners renovate dining areas with a focus on creating more intimate spaces for eating and hanging out. Ferrier, a Culinary Institute of America graduate who lives in South Riding with his wife and teen daughter, talked with Loudoun Now about his focus on local sourcing on a large scale, and his new interest in the increasingly popular sous vide cooking technique. Loudoun Now: What brought you to National Conference Center? Chris Ferrier: I’ve always been into high volume. When I heard [National Conference Center ownership] had turned from Aramark to LaKota [Hotels & Resorts], I became interested. And when I heard about their concept of getting rid of steam table buffets and cooking à la minute for 500, 600, 700 people, it sparked my interest. Because I like that stress, I like that pressure. LN: Give me the nutshell version of your background. CF: Most of my career is with Hyatt Hotels here in the DC area. I’ve also worked for Levy Restaurants—they’re sports and entertainment. I worked for the White Sox, the Cubs, the Pacers and also a convention center in Omaha. So again—volume. LN: I’ve read you have an interest in local food. Is that challenging on a large scale? CF: In 2016, we used 70 different Virginia farms. 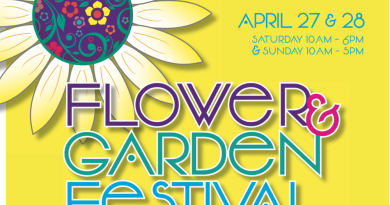 It is a challenge to source, but our broad line distributor, Sysco Foods in Harrisonburg, made all the arrangements. There’s an organization called Food Hub based out of Charlottesville and they get local farmers together and find a distributor. … Of course, it’s helping a small farmer make a profit, but the small farmer is also taking some of their goods and giving them to smaller communities that don’t have a big budget for school food. … Also, Visit Loudoun had a meet and greet with Loudoun County farmers. … We had a chance to meet them and talk with them about what they can produce in 2017 so we can start envisioning what our menus are going to look like. LN: Tell me about Black Olive? What do you have in mind for the menu there? CF: We do it seasonally. We’re making homemade chili for the winter and tomato bisque. We do shareable plates and flatbread pizzas with different toppings like wild mushrooms and asiago cheese and caramelized onions. Starting Feb. 1, we’re doing two or three types of themed cheese plates. … Everything on one board is Spanish—Manchego cheese with toasted Marcona almonds. And we’re doing a French one with Comté cheese and baguette and dried grapes on a vine. LN: How do the Chef’s Tables work? CF: We’ve been doing it for as long as I’ve been here. We do private ones, we do public ones. … We taste some wine and have some hors d’oeuvres. Then we take guests to the kitchen and have four or five different courses and explain how we prepare the food. We do really nice à la minute cooking for 30 to 40 people. Or we can serve 1,000 people in the ballroom. 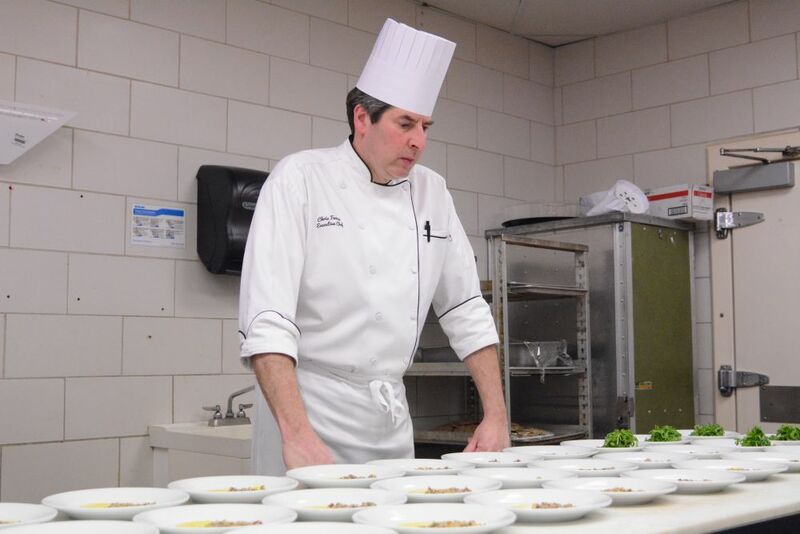 The other great thing about the Chef’s Table is that John Walsh, the food and beverage director, and I go to Riverside High School quarterly and judge [family and consumer science] students’ cooking. This week, we went over and one group did cupcakes, one group did hors d’oeuvres, one group did an entree. Out of the groups, whoever won invites their parents and the kids do [a Chef’s Table] for parents, the teacher and the principal. LN: What do you like to cook at home? CF: I work a lot, and my wife just changed jobs. I started doing sous vide [at home]. Sous vide is cooking in a vacuum at a lower temperature in its own bag. You add seasonings—salt, pepper, thyme, rosemary. … My daughter has dance, and we pick her up when we get home, and we already have the sous vide done. LN: Do you have any tips for home cooks? CF: My tip is don’t overthink the recipe and the ingredients. Even my mother in law—who’s a great cook: it could be a roast chicken and she’s putting butter and thyme and rosemary and marjoram and sage under the skin and pepper and garlic and shallots and I was like, “That’s too much—you’re not going to taste the chicken.” Simplicity. We did a VIP private party and I did Wagyu [beef] tomahawk chops and all I put on them was salt and pepper and people were like, “What is on that?” You need to taste the meat.